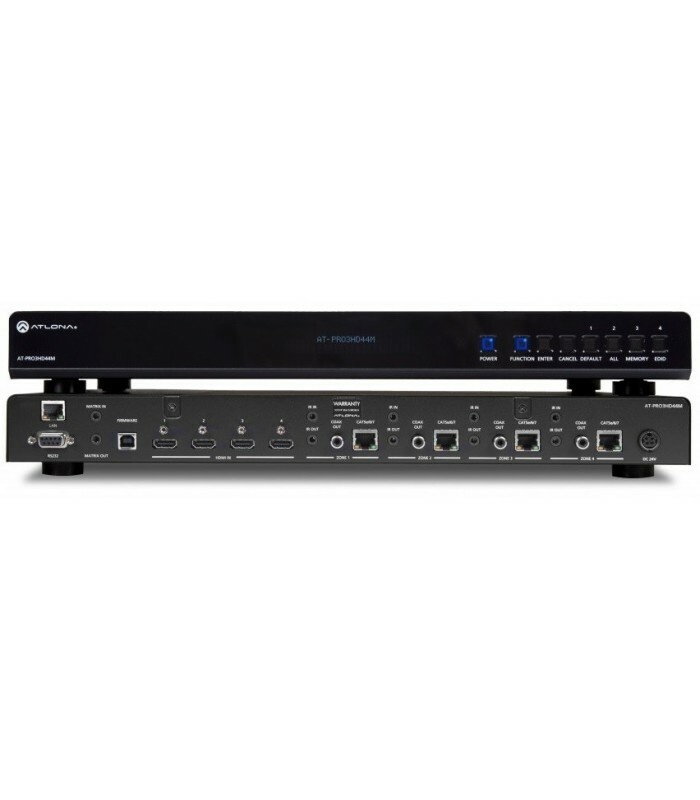 With the latest and more affordable HDBaseT technology, extend HDMI sources up to 230ft at 1080p or 1920x1200. 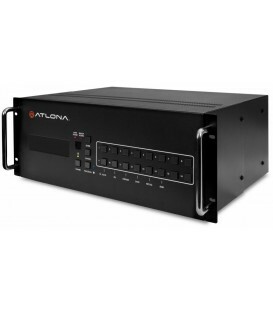 The Atlona HDMI 4 by 4 Matrix Switcher allows for effortless control of up to 8 devices through IR remote control, RS-232, 3rd party IR control box and the front panel. With a built in loop out S/PDIF port send audio to an AVR or Distribution Amp. To ensure all audio passes through, the 4 by 4 Matrix Switcher supports all Lossy and Lossless formats of Dolby and DTS over HDMI. PoCc Receivers are not included with the AT-PRO3HD44M. ;"
1 x Pair of Wall/Rack Mount Ears"